Non-communicable diseases (NCDs) are defined as diseases of long duration, and are generally slow in progression. NCDs are the leading cause of death in the world, responsible for 63% deaths worldwide in 2008. NCDs accounts for 53 percent of deaths in India. Based on available evidence cardiovascular diseases (24 percent), chronic respiratory diseases (11 percent), cancer (6 percent) and diabetes (2 percent) are the leading cause of mortality in India. Treatment cost is almost double for NCDs as compared to other conditions and illnesses. Burden of NCDs and resultants mortality is expected to increase unless massive efforts are made to prevent and control NCDs and their risk factors. India could develop a strategy for reducing out of pocket expenditure. Underlying determinants of NCDs mainly exist in non-health sectors, such as agriculture, urban development, education and trade. Inter-sectoral collaboration is therefore essential to create an enabling environment. Government of India had launched various vertical programmes such as National Cancer Control Programmes, National Tobacco Control Programme, National Programme for Prevention and Control of Cancer, Diabetes, CVD and Stroke (NPCDCS) etc. Strong surveillance, monitoring and evaluation system is required for successful implementation of the programmes. Public health facilities should be strengthened for providing services of screening; early diagnosis and treatment within the public health care delivery system. Efforts need to be done on implementing the clinical standards and guidelines developed under the Indian Public Health Standards (IPHS), and integrating NCD training into training curricula of health workforce. 2. World Health Organization. Global Status Report on non-communicable diseases 2010. 3. Beaglehole et al. Priority actions for the non-communicable disease crises. THE LANCET 2011; 377:9775; 1438-1447. 4. World Health Organization. Non-communicable Diseases Country Profile 2011. 7. Beaglehole R. Globalization and the Prevention and control of non-communicable disease: the neglected chronic diseases of adults. THE LANCET 2003; 362:9387; 903-908. 8. Nongkynrih B, Ratro B K, Pandav C S. Current Status of Communicable and Non-Communicable Diseases in India. Journal of The Association of Physicians of India 2004; 52; 118-123. 9. Ministry of Health and Family Welfare (2011). Rural Health Statistics in India. New Delhi: Ministry of Health and Family Welfare. 15. Directorate General of health Services, Ministry of Health and Family Welfare, Government of India. Operational guidelines for Prevention and Control of Cancer, Daibetes, CVD and Stroke (NPCDCS). J Public Health 2018; 26(2): 195. Ethnicity & Health 2017; 22(4): 333. 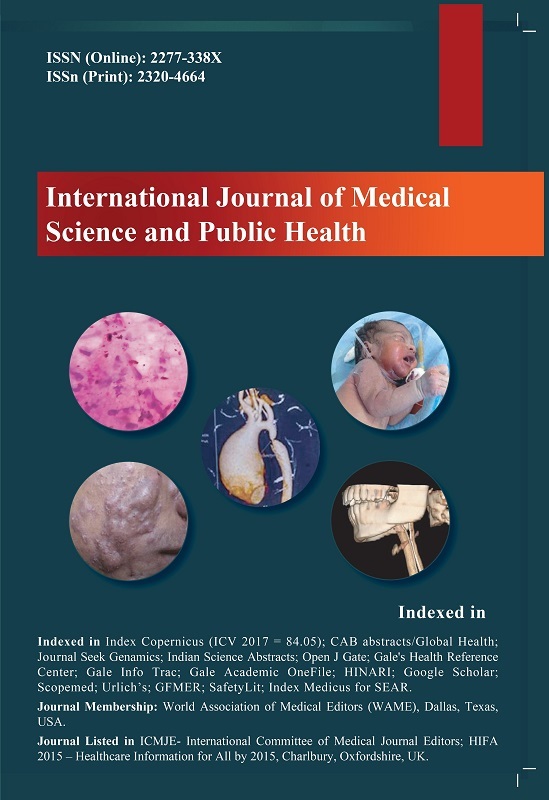 J Public Health 2017; (): . Journal of Diabetes and its Complications 2016; 30(2): 287. Clin Kidney J 2016; (): sfw009. J Public Health 2016; (): . Ethnicity & Health 2016; (): 1. Journal of Diabetes and its Complications 2015; (): . PLoS ONE 2015; 10(5): e0125865.